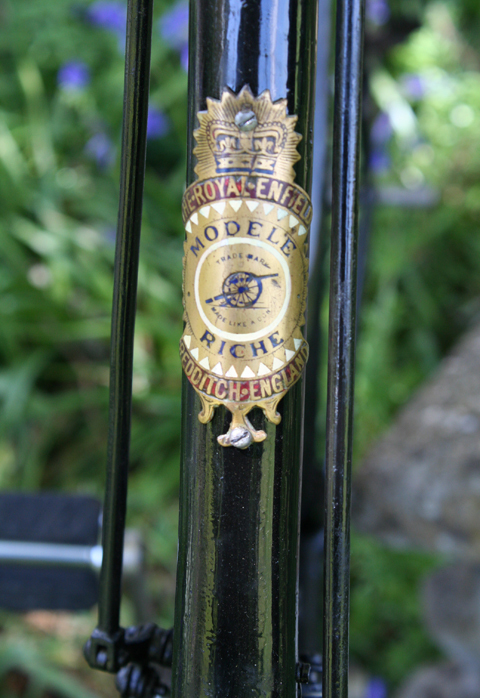 This distinctive ‘Girder Frame’ was a popular Royal Enfield design, subsequently copied by several other manufacturers here and in America. 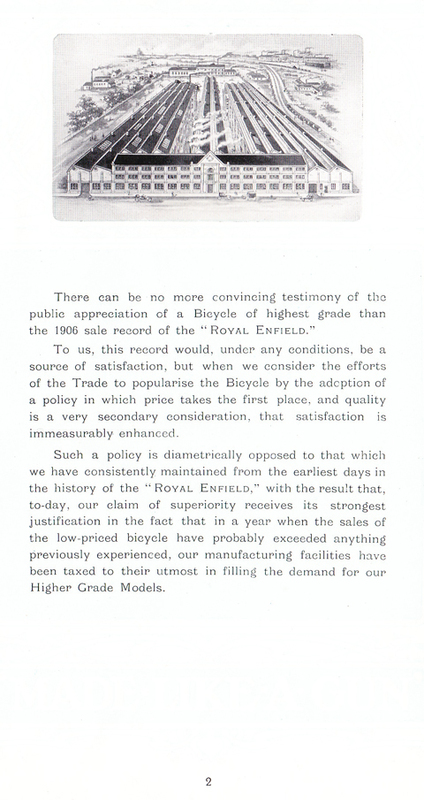 The ‘Riche’ was the top-of-the-range girder model. 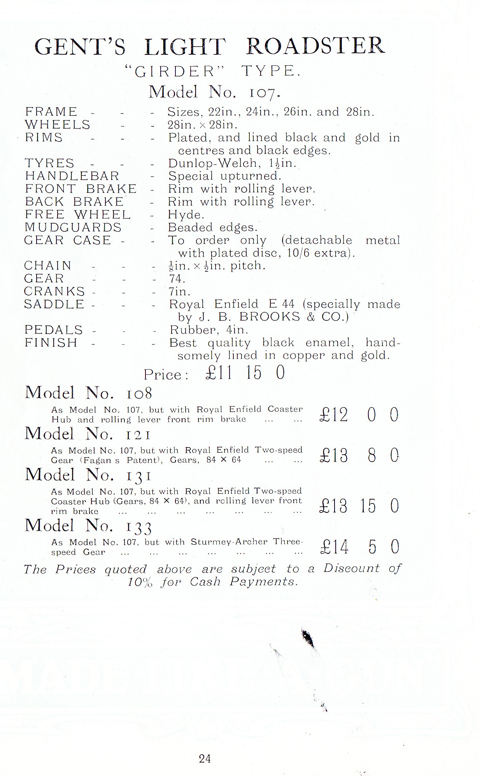 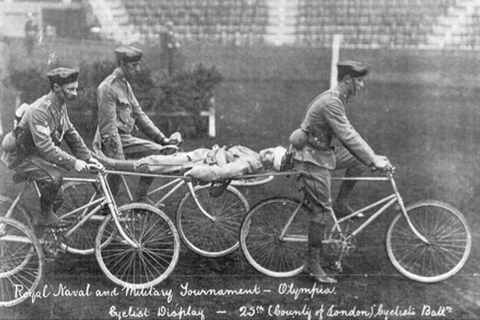 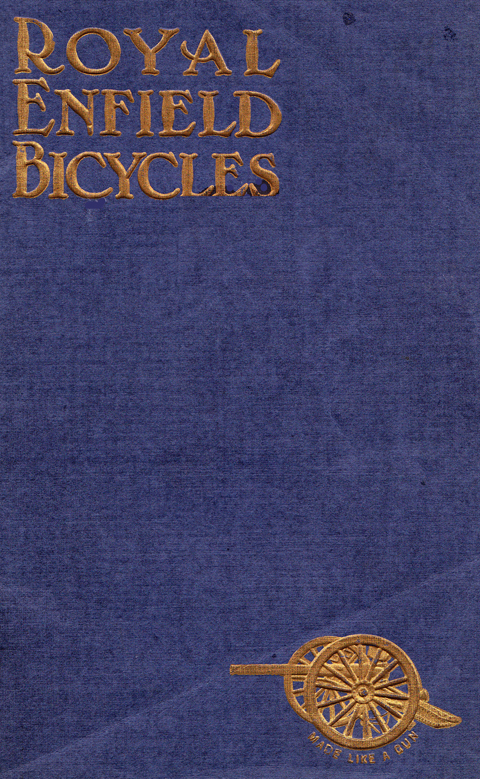 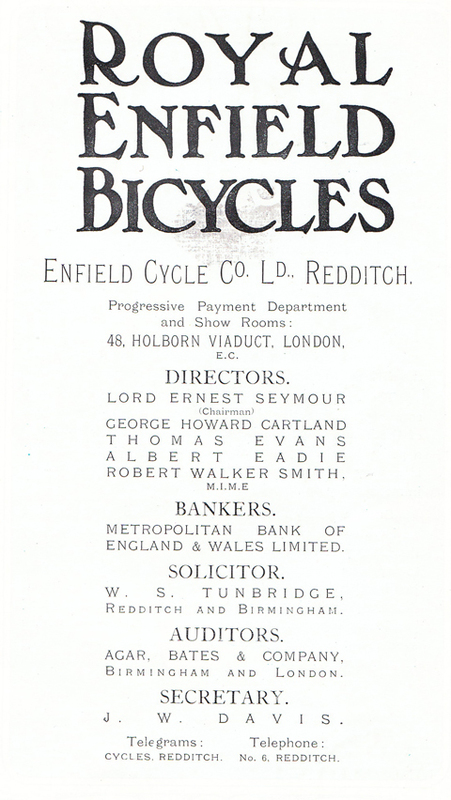 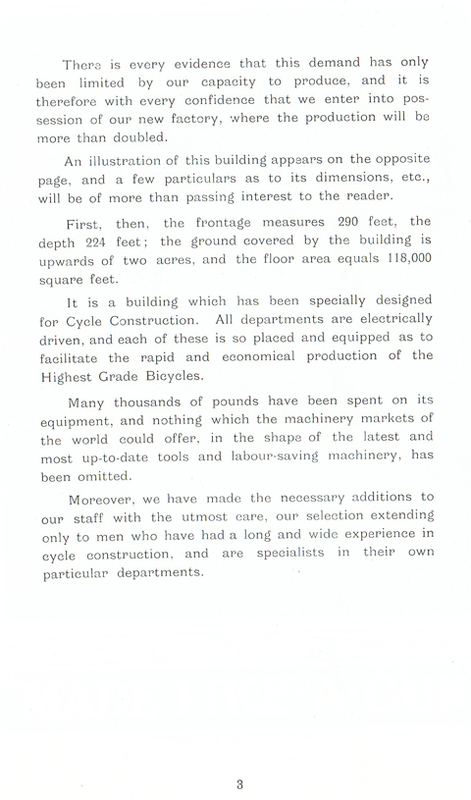 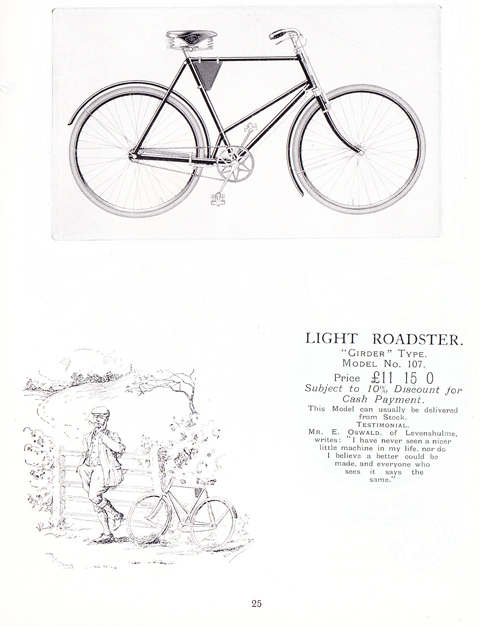 You can read more about it in the 1907 Royal Enfield catalogue reproduced further down the page. 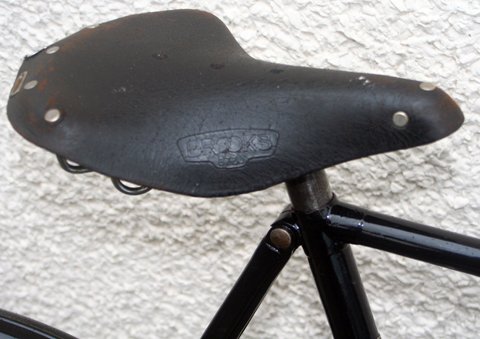 This particular example was restored by a good friend of mine. 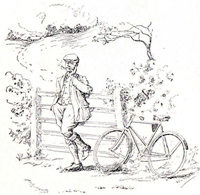 I was with him when he bought the bike, partly completed, so I enjoyed observing his progress and, particularly, seeing it when he’d finished. 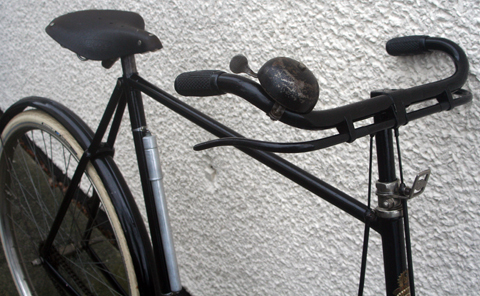 No expense has been spared in the job. 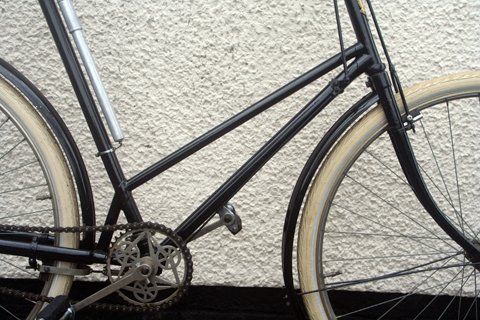 As well as first class preparation for its respray, it had a top quality paint-job, and many parts have been re-nickeled. 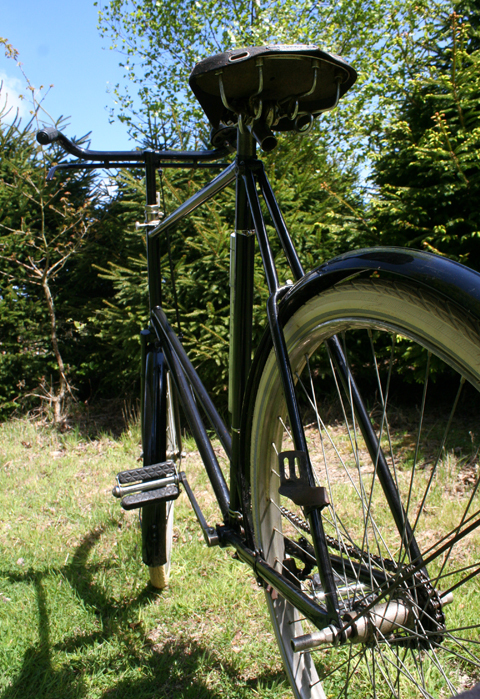 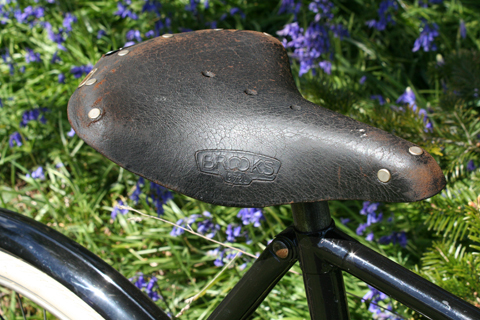 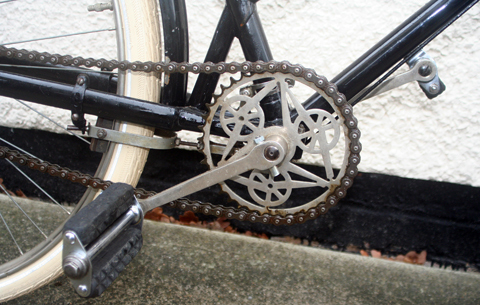 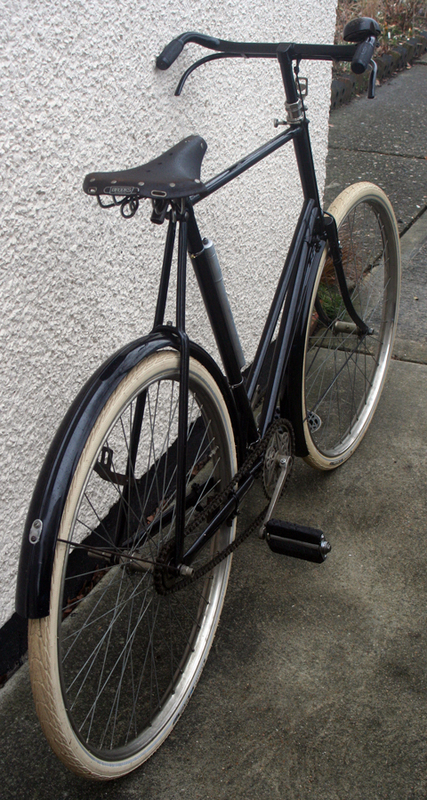 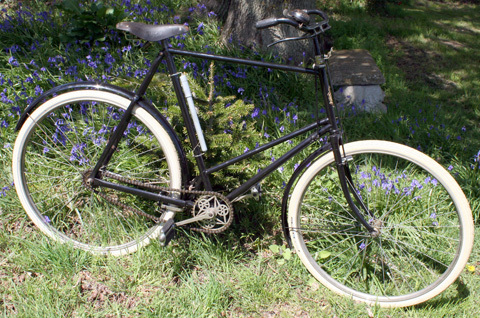 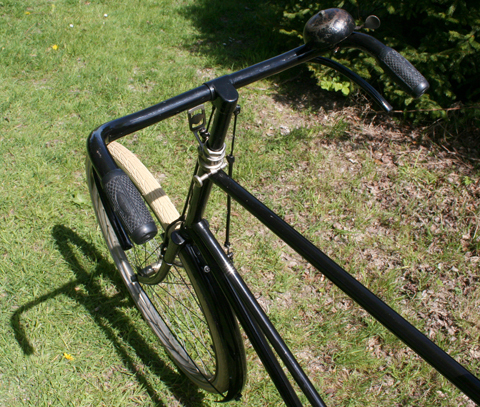 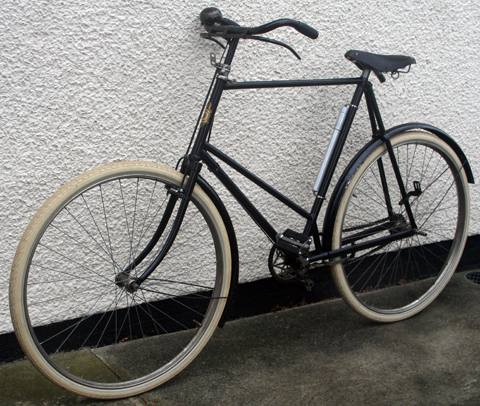 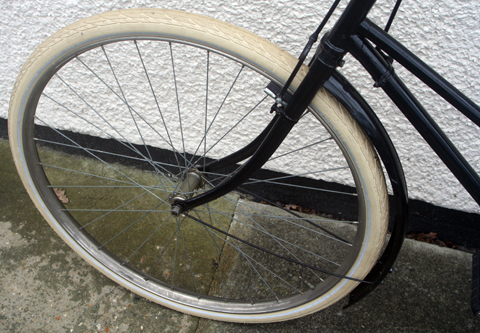 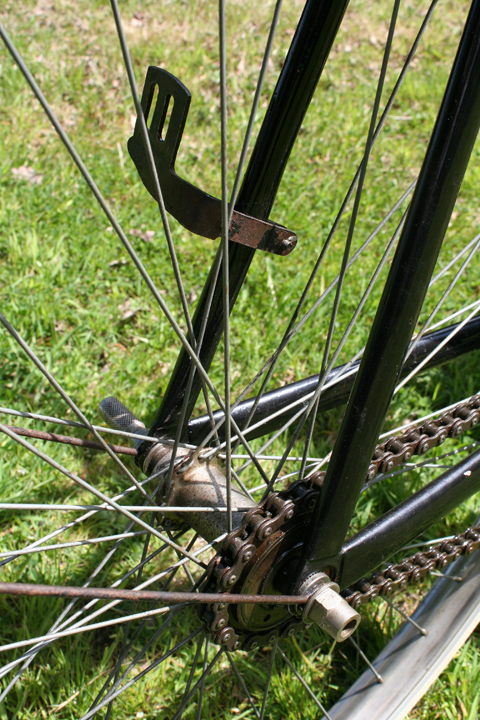 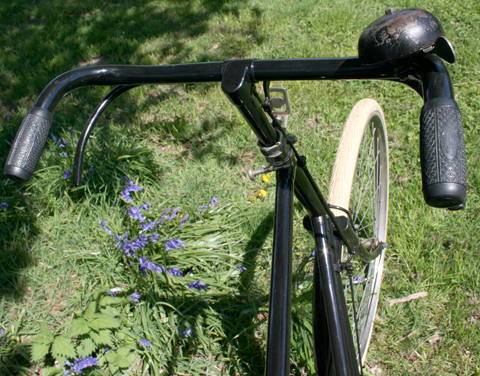 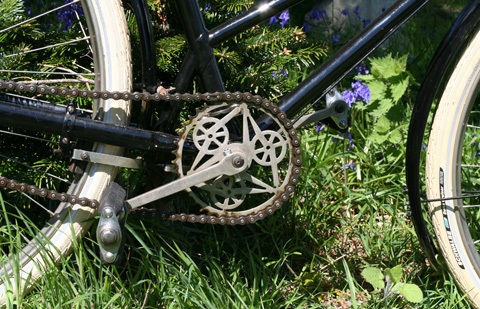 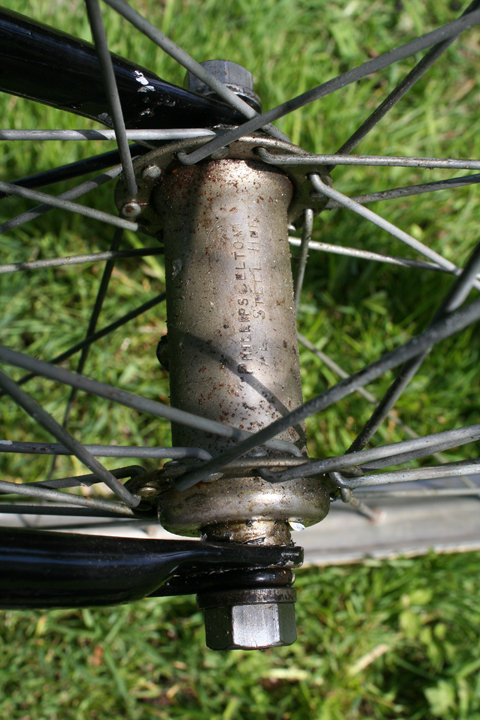 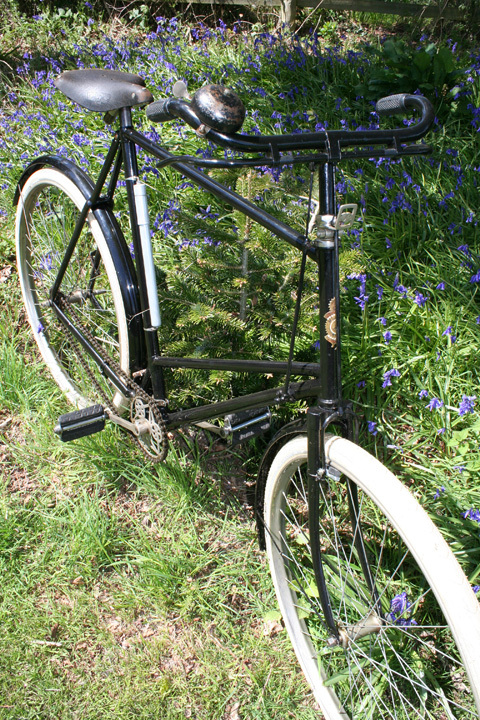 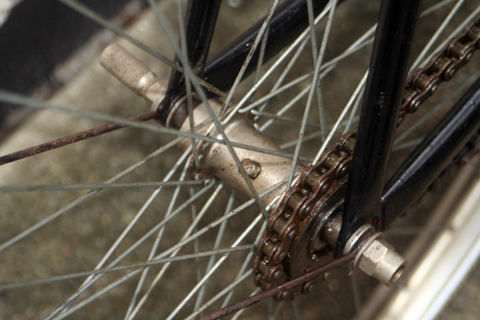 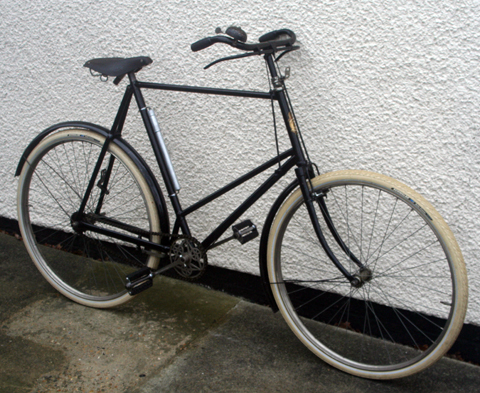 New brake blocks, white tyres and inner tubes were recently fitted, and this 26″ Girder Modele Riche rides superbly. 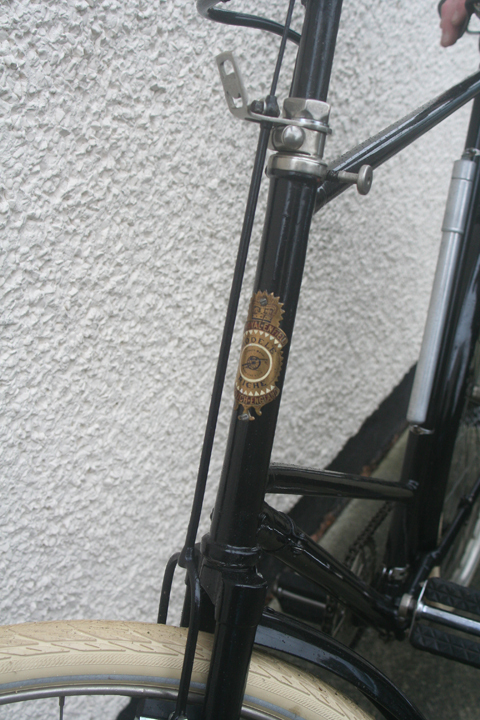 Below, you can see the beautiful lamp holder in more detail. 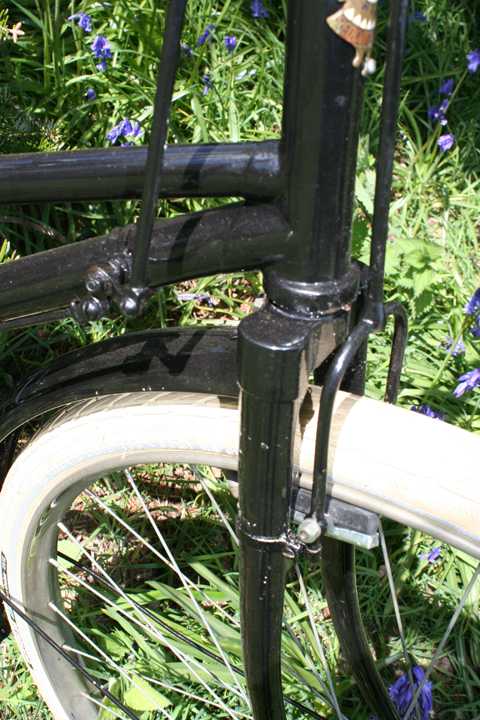 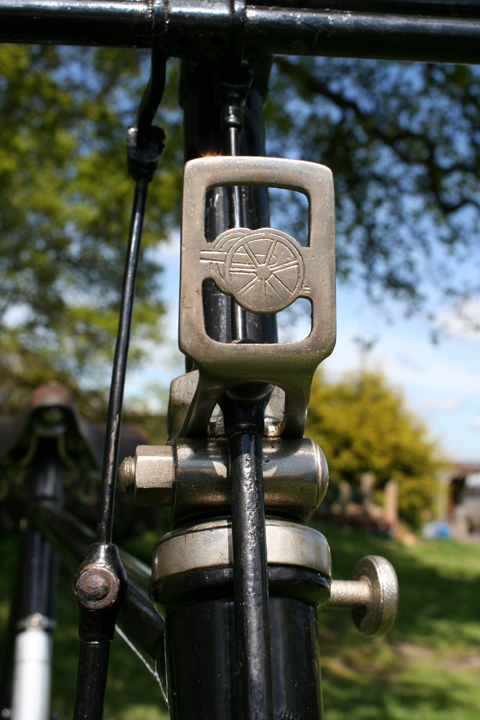 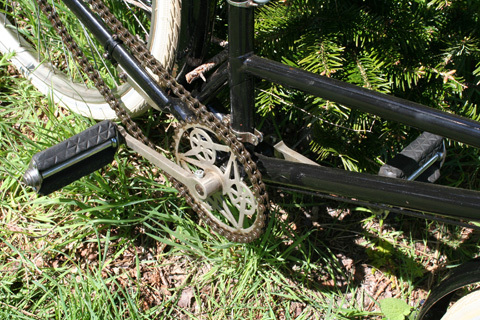 Note the head-lock screw on the right of the picture.